President – Hallmark Cards, Inc.
David Hall is president of Kansas City, Mo.-based Hallmark Cards, Inc. He also serves on the boards of directors for Hallmark, Crown Media Holdings, Inc., and the Hallmark Corporate Foundation. In this role, Hall joins his brother, CEO Don Hall Jr., in leading all aspects of Hallmark’s portfolio of businesses, including the wholesale and retail operations. He also is responsible for the company’s enabling organizations including corporate strategy and development, brand development, legal, human resources, public affairs and communications, and supply chain and business enablement. Hall, a grandson of the company’s founder, Joyce C. Hall, joined Hallmark in 1981. He has held management positions in sales administration, finance, and order distribution. He worked as a staff attorney in Hallmark’s legal department, served as director of retailer relations and communications for the card/specialty channel, and was director of subsidiary integration for a greeting card subsidiary of Hallmark. He has served as a member of Hallmark’s board of directors since 1996. In 1999, Hall was named vice president for U.S. marketing and sales at Binney & Smith (now called Crayola, LLC), a Hallmark subsidiary that manufactures and sells Crayola® brand products. In 2002, Hall returned to Kansas City as senior vice president of human resources for Hallmark. Starting in 2005, he served as president of Hallmark North America, leading operations for Hallmark’s North American businesses. He was promoted to his current role in 2015. 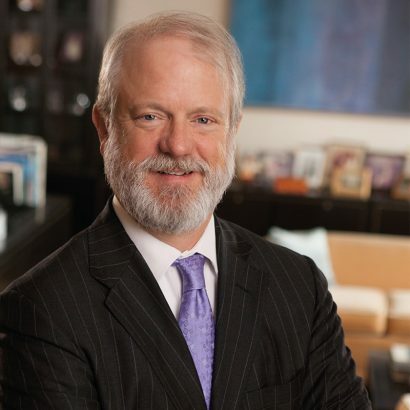 Hall earned his law degree at the University of Kansas Law School, Lawrence, Kan., and his bachelor’s degree in economics at Davidson College, Davidson, N.C.
Hall is a member of the MRIGlobal Board of Trustees. He serves on the board of directors for the Kansas City Area Development Council (KCADC), the advisory board of the Children’s Center for the Visually Impaired, board of trustees of United Way of Greater Kansas City, and the board of trustees for KU Endowment. He is serving as Campaign 2017 co-chair for the United Way of Greater Kansas City.